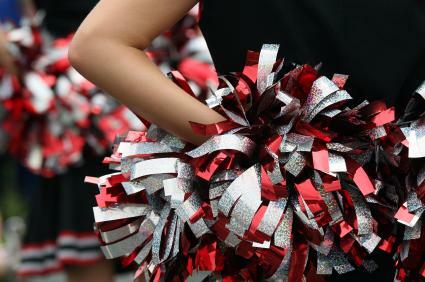 Despite those traumatic experiences, I’m still a cheerleader at heart. I love to root for my favorite teams, whether they be Central High School, the Denver Broncos, or the U.S. Olympic athletes. I am a loyal and enthusiastic fan. Jesus isn’t looking to fill a stadium with fans or a sideline with cheerleaders. He is recruiting participants who will get in the game. And leave everything on the field. Whoa. I’m such a wimp. If I whined when the Sabercat Hat messed with my hair, how do you think I might react when Jesus wants to mess with my life? I’ve been challenged along these lines lately by the example of another pastor, Saeed Abedini. If you’re unfamiliar with his story, Saeed is an Iranian born American citizen who has been imprisoned in Iran’s notoriously deadly Evin Prison since this past September. His crime? Being a follower of Jesus, in a country where following Jesus can literally cost you everything. Last month a letter from Saeed was successfully smuggled out of prison. In it, he relays some of what holding on to his faith is costing him. But he also shares how his imprisonment and suffering have afforded him “golden opportunities” to point others to “The Shining Morning Star.” The letter reads a lot like other letters written to the early church from ancient prison cells. I think the church today could use more letters like these. So I’m compelled to ask myself: When was the last time my faith cost me something? Messed with my plans? Interfered with my life? Am I a fan or a follower? That is the question Jesus asks each of us. I’m still pretty “rah rah” when it comes to my relationship with Jesus. I’m passionate about His church and loyal to His cause. But I’m laying down my pom poms and lacing up my cleats instead. Because there’s work to be done. And I am not a fan. *The quotes shared above are from the introduction and the first twenty or so pages of Not a Fan. The rest of the book is good too! Kyle offers helpful insights into what it really means to be a follower of Jesus. **Please take three minutes to listen to Saeed’s letter here: http://www.youtube.com/watch?v=cfBeRICdCcU. Trust me, it will do your faith good.